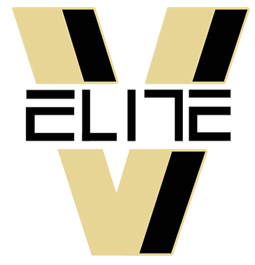 Virginia Elite is the PREMIER AAU/GRASSROOTS basketball program in Northern Virginia to include Winchester, Warrenton, Fairfax, Loudoun (Ashburn, Leesburg), Prince William County and surrounding areas. Hampton Road are to include all counties in the 757 area. Throughout the years the program has gained national recognition for producing top quality student athletes. Virginia Elite High School Elite is now part of the Under Armour (UA) Rise Grassroots basketball Program. The Under Armour Rise league will be launching in the Spring of 2019. UA Rise will follow and model itself after Under Armour's flagship grassroots league, The Under Armour Association (UAA), to offer another opportunity for youth basketball players to compete in a highly organized and competitive league to pursue their dreams of playing at the next level. Each season is poised to be exciting opportunity to face challenges from other elite level programs. We can’t promise an athletic scholarship, but we will do our very best working through our contacts and relationships with national scouting services and college coaches to expose your child to the optimal opportunity to continue their athletic experience after high school. Virginia Elite Junior Elite program has been selected to participate in the UA Future Middle School Circuit, this is one of the premier circuit for 4th-8th Boys & Girls with professional events. Virginia Elite is an official affiliate program with the Jr. NBA and the Jr. Washington Wizards youth program. The Washington Wizards are dedicated to helping youth basketball programs throughout the DMV. By partnering with youth programs such as Virginia Elite, the Jr. Wizards program aims to give children of all ages and skill levels the opportunity to develop both on and off the court. The Jr. Wizards network of teams, coaches, parents and players emphasize having fun while encouraging skill development, team play, good sportsmanship and community involvement. The Virginia Elite coaching philosophy is one that is built upon positive reinforcement and stresses maximum effort. Virginia Elite requires players to always leave everything they have on the floor every practice and every game. Teams will be playing in an extremely competitive environment and it will take challenging work, dedication and teamwork to be successful. In addition to the activity on the floor there are numerous off the floor items that need to be addressed.